GATTON retiree Bob Pearce didn't need an alarm to wake him on Tuesday morning, three hooded men did the job for him. The time was about 5:15am when Mr Pearce heard a thud on the door of his Woodlands Road residence, and within seconds the 66-year-old sprung into action. Mr Pearce said he initially thought the noise could have been a bird flying into the door, but when he left his bedroom via an external door he could see the screen on his front door had been pulled off. Initially Mr Pearce was unaware just how many offenders were in his house, but he said after he yelled they started to appear one by one. "I yelled out 'hey what's going on in there' and out of the loungeroom screen door came some hooded bloke and he said 'sorry'," Mr Pearce said. Mr Pearce said the hooded man then ran to a car, which appeared to be a silver commodore. "I grabbed the picnic table and thought I'd slam it into his car," he said. "Just after I gave it a throw, he stopped the car, so I jumped the fence." In the same moment, Mr Pearce said a second offender ran from the side of his house and jumped into the passenger seat of the car. Mr Pearce said the alleged criminals drove the car through his barbed wire fence in a bid to escape. "They pulled up down the bottom of the driveway and sometime during that I heard a smash coming from the house," Mr Pearce said. Mr Pearce said he saw a third man running from his house, who he believed had become trapped. Despite leaving a three-metre trail of glass in the wake of the smashed sliding door, the suspected third offender turned and ran straight through the screen of another sliding door in a bid to escape. Three kitchen draws and a filing cabinet were opened during the attempted ransack, but no property was believed to be stolen. Mr Pearce said he was suspicious about how the alleged criminals could have located his house. His Woodlands Rd residence is a rural property, which is barely visible from the road. 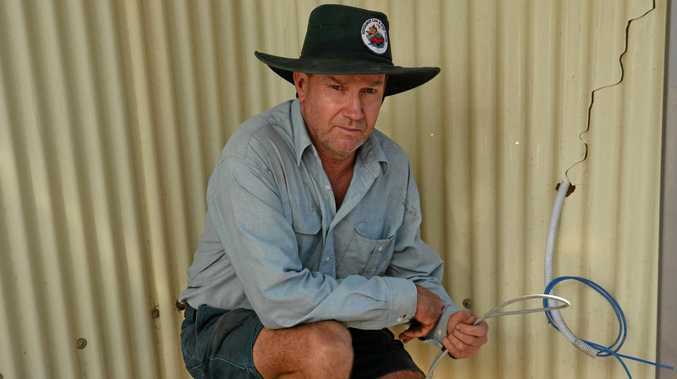 But Gatton Police Station officer in charge senior sergeant Rowland Browne said rural properties can be the target of criminals from time to time. He urged residents to monitor their properties as well as their neighbours for strange cars, which were not usually seen in the area. 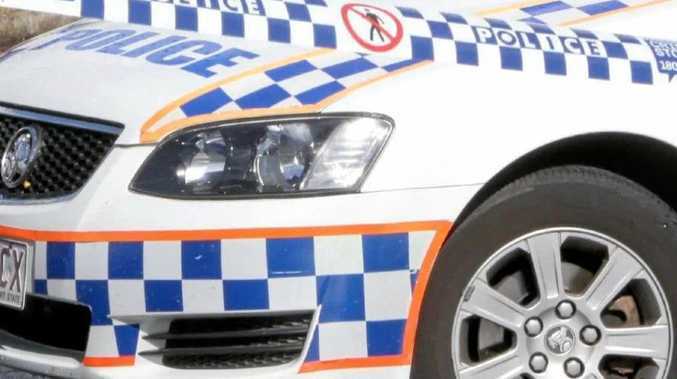 Police are inquiring into the origins in the car in a bid to find out whether the vehicle was stolen from another region and driven to the Lockyer Valley. Sen-sgt Browne urged locals to keep an eye out for the silver commodore, which could be travelling through the area. Police believe the car would have scratches to the front, a missing side mirror and a missing spoiler. If you have any information call police on 54683266 during business hours or phone Crime Stoppers on 1800333000.